Who doesn’t like the atmosphere of Christmas? Those shining lights everywhere, beautifully decorated shops, gardens and streets. And those Santa assistants you spot every now and again remind you that the real Father Christmas will soon be paying a visit. Do you want to be one of them, to have children smile as they see you? 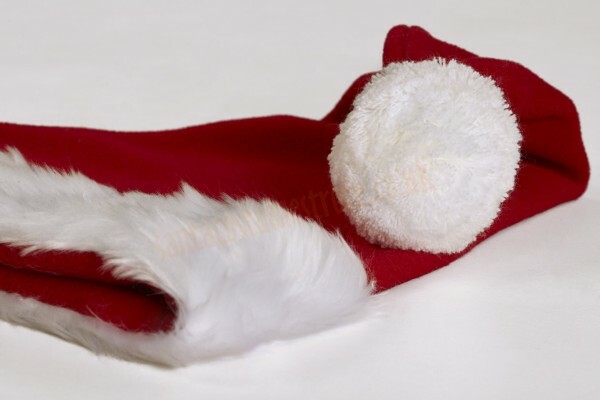 Just put on our Santa hat! It’s nice and warm, so you could easily wear it instead of your ordinary winter hat. 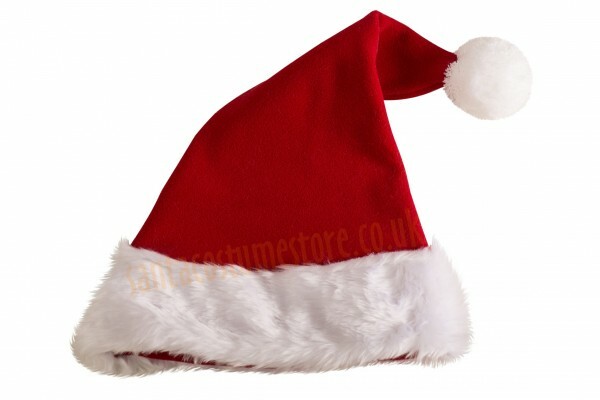 Our Santa hat is made of soft, thick fleece and trimmed with a smart band of white faux fur (1"/ 2 cm pile). A 3" (7 cm) diameter fluffy pompon tops it off nicely! 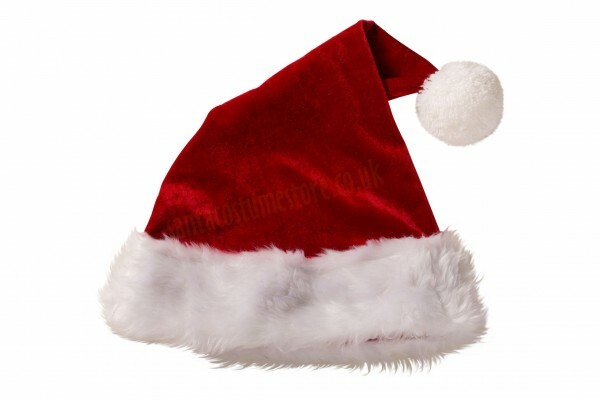 This Santa hat is designed for wearing without a wig – and its size is such that it fits nicely on the wearer’s own hair. 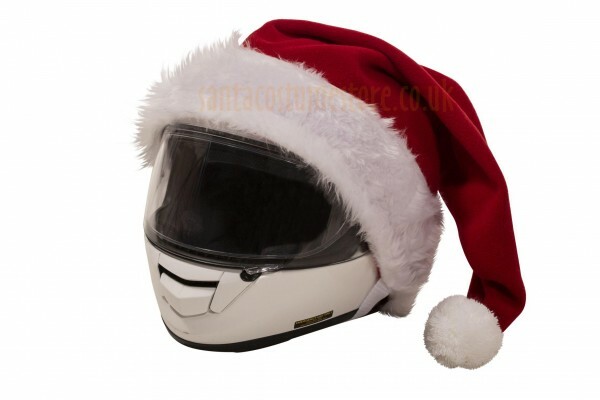 If you want a similar hat, though suitably larger and thus designed for wearing on a wig, you can buy it as part of a set; it is included with the standard fleece Santa suits (with jacket or coat).